Not all options will be available on all models. Please contact your Land Rover Retailer to find out more. Enhance the Range Rover Sport exterior further by choosing the Black Pack. Delivering a more dynamic look, this pack pairs Gloss Black features with Narvik Black accents in elements including the front grille, bonnet and fender vents and mirror caps to give the vehicle an even greater presence. Provides a superb enhancement to Range Rover Sport. This pack includes Gloss Carbon Fibre finishes to the exterior including the mirror caps, grille surround, bonnet and fender vents and tailgate finisher, to enhance the vehicle’s undoubted looks and poise. The SVR Carbon Fibre Exterior Pack adds Gloss finish Carbon Fibre accents to the front bumper, grille and fender vents. Range Rover Sport SVR's exclusive Carbon Fibre bonnet, body-coloured as standard, is also available with the striking option of an exposed Carbon Fibre bonnet centre section. The Off-Road Pack takes your vehicle’s 4x4 driving capabilities to another level and includes Terrain Response 2, All Terrain Progress Control (ATPC), a twin-speed transfer box and, on certain engines, Adaptive Dynamics or electronic air suspension. Enhance Range Rover Sport’s already peerless on and off-road capabilities and driving experience with the On/Off-Road Pack, which includes twin-speed transfer box, Terrain Response 2 with Dynamic Program, All Terrain Progress Control (ATPC), Dynamic Response and Electronic Active Differential with Torque Vectoring by Braking. Our most agile, dynamic and responsive Land Rover ever comes with a choice of wheels to match. Exclusive premium wheels, in 19” to 22”, are available in a variety of finishes including Gloss Black, Diamond Turned and Satin Polished. A unique lightweight wheel, exclusive to SVR, is also available. 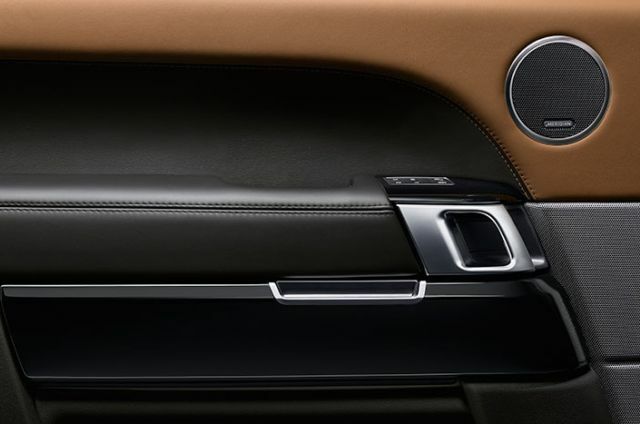 Flooding the Range Rover Sport interior with light, the optional fixed or sliding panoramic roof enhances the feeling of space and a connection to the world outside. Available in a palette to match your vehicle’s exterior body colour or in contrast Narvik Black. Optional Matrix LED headlights with signature Daytime Running Lights (DRL) enable an Advanced Driving Beam (ADB) and feature an Adaptive Front-lighting System (AFS). Both systems work together to maximise visibility in all conditions—enabling high beam visibility without dazzling oncoming vehicles and optimising low beam lighting to suit your driving conditions. Optional Pixel LED headlights with signature DRL offer our most advanced technology and build on the ADB and AFS capability of Matrix LED headlights. They provide a sharper resolution to maximise the available beam for the driver and more precise dimming to avoid dazzling oncoming vehicles. Pixel-laser LED headlights with signature DRL provide the ultimate headlight option, with laser technology delivering five times higher luminance than standard LED lights. Becoming operational above 80km/h and when no other external lights are detected, the system produces clear sight for over half a kilometre. 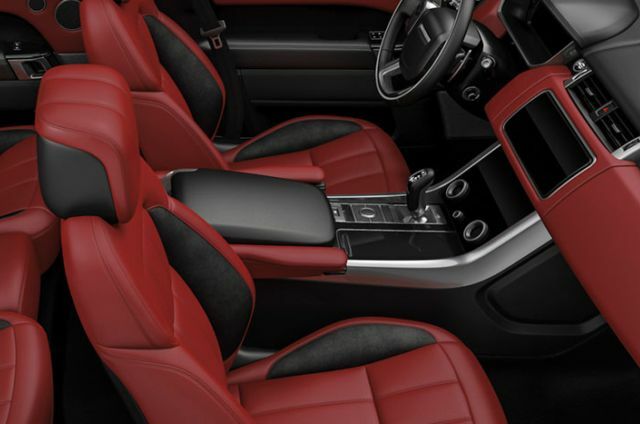 Select from a range of interior finishers including wood, aluminum and carbon fibre options. Finishers may be unique to specific models. To ensure this vehicle looks as good as it drives, a range of colourways are available including contemporary new choices, Ebony Vintage Tan and Ebony Eclipse. 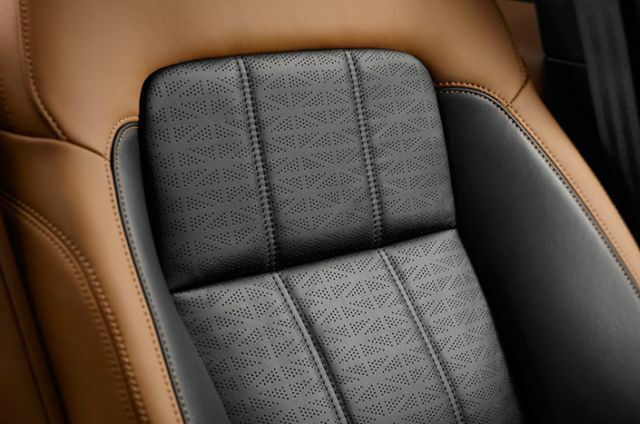 With up to 22-way seat movements, your vehicle’s seating is available in a range of materials, including Semi-Aniline leather, and in contemporary new colourways. Optional massage, heating and cooling technologies provide increased comfort. Range Rover Sport’s state-of-the-art in-car technology helps keep all occupants safe, entertained and connected on every single journey. The latest innovations, performance and capability features enable you to get the most from your vehicle. 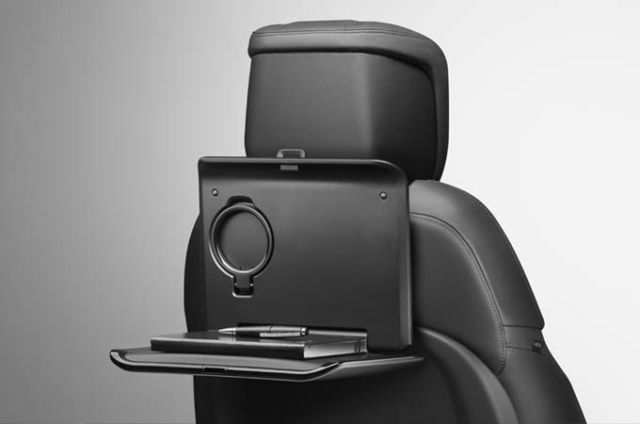 This multi-purpose seat-back accessory system can be fixed between the headrest mountings with attachments added to hold tablets, bags and jackets. 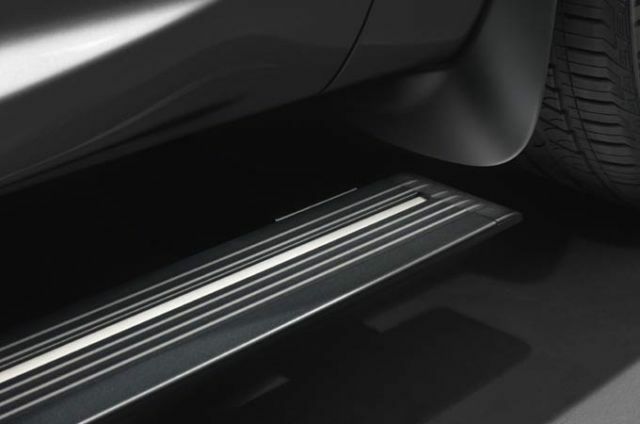 Neatly stowed under the sills until needed, these smart, practical steps make it easier to get in and out of the vehicle. 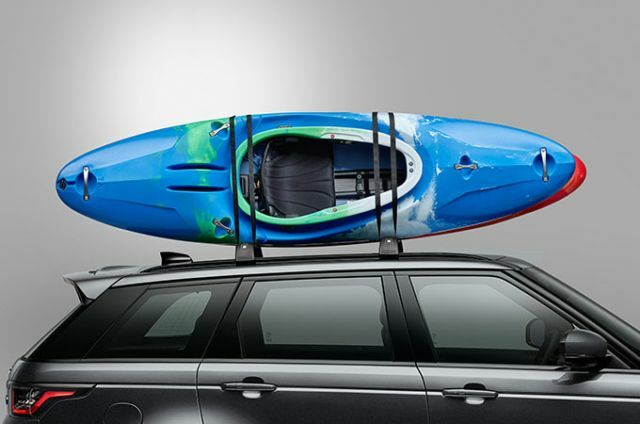 Enjoy flexible load capacity and convenience with a range of roof accessories including the roof mounted bike carrier, aqua sports carrier and sports roof box. 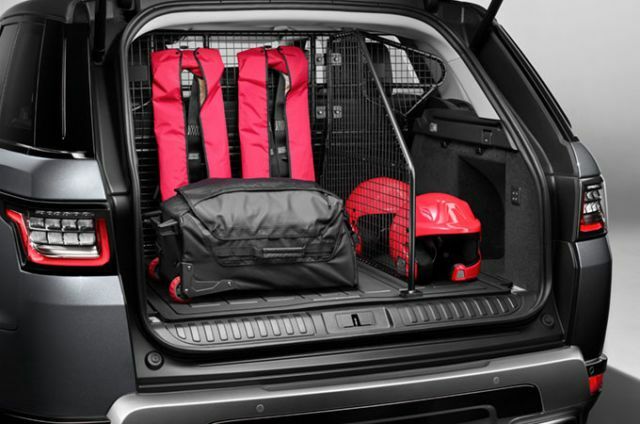 Optimise loadspace with accessories including a luggage partition, luggage partition divider to separate the loadspace into two sections, and a rubber mat to protect your loadspace floor.